Over the last few years, I’ve worked with lots of air purifier brands. If you are looking for a list of recommended air purifier brands, this post is truly for you. I also write a lot of guides to help others on finding the best air purifier in the market. If you are looking for an air purifier around $500 budget in 2019, Rabbit Air is always the top choice for you. This brand is so highly recommended that they don’t have any opponents at the same level. 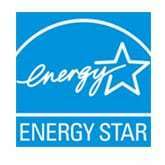 Other air purifier brands will choose the lower level or set for a higher level with a certified medical grade. Rabbit Air has been the leader in North America air purifier market since 2004. Located in Los Angeles, California, this air purifier brand pursues the high quality in customer service. But a strong base of customer service is not the biggest competitive edge of this brand, we notice of Rabbit Air due to the quality of their air purifiers. Their latest Rabbit Air MinusA2 is a real deal for a mid-range air purifier. Many verified reviewers confirm the power of this MinusA2 is equal to even the medical grade of IQAir air purifiers. For such a powerful air purifier like that, the fan speed will produce more noise and consume more energy. However, Rabbit Air MinusA2 is both quiet and power-saving. I’ve set up 2 Rabbit Air MinusA2 for the test and the result is I am happy with the performance of this air purifier device. In Breathe Quality, we all agree that Rabbit Air MinusA2 is the best air purifier in 2019 you could get at the moment. Moreover, I recommend this air purifier not only for its power, but also for its design. The design of any Rabbit Air air purifiers are just beautiful and elegant. Related posts: Rabbit Air Reviews. If you need an expensive air purifier with a medical grade certification, IQAir is the top brand in your mind. For high-range of around $1000 budget, their air purifiers are the best choice to pick in public places. If you still wonder why this air purifier brand just offer high-range products, let’s take a look down here. The company’s history is claimed to be 55 years old, since 1963 in Germany. IQAir aims at bringing the high quality air purifier to their customers. With a long history of experience, IQAir improves their air purifier to a level no ordinary air purifier could reach. To see how powerful IQAir’s air filters are, we could watch the promotion ads of IQAir’s president – Frank Hammes stepped into a smoke chamber with only one IQAir air purifier beside. Honest review, for a full set of air filtration, this air purifier is worth every buck you spend. IQAir is not just full of big tower air purifiers, their portable air purifiers are also good. The IQAir Atem is a personal air purifier which cleans the air zone around you only. Many people have good experience with the Atem as it is really worth the investment. Blueair is a brand with enough air purifiers to satisfy all budget you can afford. You can choose from the low-range portable BluePure to the expensive model of Blueair PRO XL. This air purifier brand is truly popular in countries with high pollution-level degree, for example China or India. Blueair is a Swedish brand which lately celebrate their 20 years of air purifier’s expertise. From the recent customer’s reviews, the opinions are quite different. Some are still having good experience with the fine machine, while others claimed these Blueair air purifiers are loud and the app doesn’t function well. These critical reviews are truly bad for the brand of Blueair. In my opinion, the Blueair serves me well. Both the CADR and ACH ratings of Blueair are really high, indicating the capability of this air purifier. The sound is quite loud at highest setting, but is virtually no sound at low setting. You may have heard a lot about the brand of Honeywell. Yes, this brand is not just for air purifier alone like others above, their field is range from a variety of commercial and consumer products to engineering services and even aerospace systems. In air purifier field, their products target directly at low-budget people. Honeywell is an American multinational company which is a Fortune 100 company. The popularity of this company is at the top of this list. However, today I just discuss about the air purifier field. In this field, Honeywell developed a lot of air purifiers for different room capability. The design is classic and simple for easily inputting the filter. What we should notice in the Honeywell air purifiers is their power. The fan speed is strong enough to make a high CADR even when you purchase a low-range air purifier. Bad side is, the air purifiers are loud and have bad smell. I’ve tested two models of Honeywell: HPA100 and HPA300. There is no bad smell like many Amazon reviewers had written, but the fan is quite loud at highest setting. If you are using an air purifier in your bedroom, please consider using other brands. Once more, I am happy to announce that Honeywell’s latest mid-range air purifier is Honeywell HPA600B. This air purifier is a set up of classic True HEPA power with many smart features which is lacked in previous models. If you need an air purifier, you may want to know the current Best Seller in 2019 in the market, right? Then Levoit will be your best bet if you’ve spent countless of time searching on Amazon. Both of their air purifiers are under the low-range budget, which explain most of their popularity. Levoit is headquartered in Southern California, but spreads globally into Germany, Japan and China. They are dedicated in air purification career, from air purifier to humidifier and salt lamp. Their LV-H132 is the Amazon #1 Best Seller, which is portable and low budget for everyone. This air purifier is at the top of best small air purifiers with True HEPA filter. Also, the LV-PUR131 has good performance in the range of $200. Both of Levoit air purifiers are working well, and their customer service is the reason why you want to stick with Levoit. They offer both 24/7 customer service and an active community to answer all of your questions. The iconic product of this brand – Coway AP-1512HH is by far one of the best air purifiers you could get in the market. There are many tests from hundreds of air purifiers from Breathe Quality or The Wire Cutter proved that Coway AP-1512HH is the overall best air purifier for the low-range level in 2019. Since 1989, Coway is always a trusted Korean brand, ranked No. 1 in brand value growth at Interbrand’s Best Korea Brands 2016. They even have a new brand just for air purifier industry – AIRMEGA. Overall, the products of this Korean brand can satisfy even the most difficult customer in other regions. You could expect a high quality in both design and power of Coway air purifiers. Confessing, I have been using the Coway AP-1512HH in our home for 7 months. For a price of $200, this air purifier could compare even with the mid-range air purifiers for its reactions to smells and odors. It is truly a life-saver. In addition, the customer service and community of Coway are really amazing. They offer 3-year warranty for most of their products, also with a dedicated support. You may encounter a lot of logos created by this brand, but the one above is currently the 2019 version of Austin Air logo. Proud to be chosen by the U.S government, all products made by this well-known air purifier brand are tested carefully before launching to the market. Austin Air is an active competitor with IQAir and Blueair in high-range budget segment. Austin Air Systems had introduced their flagship Austin Air HealthMate since 1990. The bottom line is their air purifiers are constantly featured in medical and health newsletter since 1992. Though there are many negative reviews complaining that Austin Air is not well-built, everyone has one in common to say about the true power of Austin Air air purifiers – they are better. There is no limit this 15-lb Activated Carbon and 60-sq-ft True HEPA filters can not reach, right? I just love how Austin Air can be quiet just as how powerful it is. Moreover, I always put my trust in a solid-built air purifier like Austin Air HealthMate Plus. It is just credible. Related posts: Austin Air Reviews. If you have enough time to research for all air purifier brands in the market, you may run across GermGuardian name. This brand is famous for their low-range but high quality air purifiers. In fact, they have two products which are in the Top 10 Amazon Best Seller Air Purifier list for 2019, GermGuardian AC4825E and GermGuardian AC5250PT. Guardian Technologies is a company for home air quality solution. Their products vary from air purifiers, UV air sanitizers to humidifiers and oil diffusers. With so many years dedicating to make better the home environment, the brand GermGuardian is exactly what you need for your home. Their air purifiers are often the combination of both True HEPA filters, Activated Carbon filters and UV Light filters. This filtration system is certified to capture most of contaminant particles in your home air, and release only fresh air back. Fun fact, I am really impressed at how Guardian Technologies delivers the message of loving their pets. They have many lovely dogs in their office, and that’s why I believe them to be one of the best air purifier for pets in 2019 brands. Winix is a Korean-based company focusing on the home air quality. They have several branches from United States, Netherlands and Japan. This brand has won the Reddot Award Winner in 2016 and also brought trust to the consumers. Their Winix WAC9500 is one of the best air purifiers in 2019 from Breathe Quality. Winix has featured one unique technology for their air purifiers called PlasmaWave, which produces both positive and negative ions (plasma state). This technology works quite the same as how ionic filter works. Combining with the True HEPA filters, Winix air purifiers can deliver the clean air to your home. Just like other Korean brands such as Coway, Winix offers a variety of price range, from the low-range to mid-range budget. Generally, people choose Winix for the low-range and mid-range air purifiers, which are from $200 to $400. If you need an only one investment for your whole life, you may have heard of AlenCorp. This company desires to give their customers the smart solutions not only for now, but also for the future. With this motto, AlenCorp is currently the only one to offer a lifetime warranty for their air purifier products. AlenCorp was founded in 2004 and is based in Austin, Texas. Not like other air purifier brands, they don’t provide a True HEPA filter air purifier because of the potential noise it could make. However, you should really give it a try. There are lots of reviews indicating that AlenCorp air purifiers are working great. And the silence of their air purifiers is one of the best you could have. Although AlenCorp air purifiers are among the mid-range budget, you could rely on their lifetime warranty. I believe AlenCorp is offering one of the best customer services in 2019. Sharp is a popular brand for air purifiers among Asia region. If you are looking for an air purifier advice in Asia, you will find many “Sharp” suggestions in every forum. The air purifiers from this brand are always from mid-range budget segment. Sharp is one of the most long history companies in the world, founded in 1912 in Japan. This multinational corporation is popular for manufacturing lots of electronics such as television, washing machine, refrigerator, AC and air purifier. Their air purifiers are among the best ionic generator in the world, with Plasmacluster technology. This technology guarantee to keep the ozone concentration under the safety standard set forth by the California Air Resource Board. Moreover, Sharp’s Plasmacluster technology is proven to effectively kill germs, bacteria, viruses, mold and odors; while other ionizer can only add a negative charge to airborne particles, which makes them stick to furniture, walls and floors. Combining with a True HEPA filter, this technology will fresh your air as much as possible. “You get what you pay for” is a true term for Sharp air purifiers. If you have no problem with ionic filter, you should look for a Sharp device right now. If you tend to put your faith in long history brands, you don’t want to miss Philips. This famous electronics brand has manufactured lots of air purifiers, pricing ranging from low-range to mid-range budget segment. Philips has even a longer history than Sharp, founded in 1891 in Netherlands. This multinational corporation is also one beast in electronics industry, and air purifier is no exception. Their air purifiers are using both True HEPA filter and Activated Carbon filter to help reduce contaminants, smells and odors. From most of Philips air purifier reviews, I can conclude that their products are above average in the market. Whirlpool is also a popular name in air purifier industry since the very beginning. If you are fan of True HEPA air purifiers, you should know about the brand Whirlpool for sure. Commonly, all Whirlpool air purifiers are under low-range to mid-range. Whirlpool Corporation is also a multinational corporation of electronics based in the U.S. From the recent air purifier reviews, we could believe in the power of Whirlpool products. Both their True HEPA filters and Activated Carbon filters are great. Their air purifiers are also using the same classic design as Honeywell air purifier to maximize the power of the fan. Also, just like Honeywell air purifiers, Whirlpool air purifiers consume quite a lot of energy. However, the quiet operation of Whirlpool is much better than Honeywell. Another name in the wonderland of air purifier industry, Oransi is fair enough both in mid-range and high-range segment. This brand receives mixed reviews from American customers, but I am glad to add them in the rank of recommended air purifier brands. Oransi is indeed an US corporation, just like Rabbit Air, Honeywell and Austin Air. They target at both China and American’s markets, where air pollution is a rising problem in many recent years. Though many US companies are now outsourcing to Chinese manufacturers, Oransi still claims that every product is made in USA. Their True HEPA filter and Carbon filter is strictly tested to prove the amazing power. They even invite Dr Bob Martin from doctorbob.com to influence about the impressive air filtration of their air purifiers. In 2011, due to a study of Clemson University, Oransi is marked as Best Air Purifier on the market. This is because their air purifiers are both high performance and ease of use. Though you may not often have heard of Biota Bot brand in advertisement or press articles in year of 2019, I must admit that Biota Bot is an amazing name for air purifier field. Their products have deep roots in small-town values, and it is not a surprise at all that they all aim at low-range budget to low mid-range. As an US brand founded in Lincoln, Biota Bot is not a strange name in North America. For their products, I like the concept of small but solid-built design. The typical design of US machines is always stay high on my list. It is user-friendly and powerful. For the air filtration process, all of Biota Bot products are applying the latest technology, with all air filter types are representing. Also, with a back up of 3-year warranty, invest in Biota Bot is a good to pick. To write this review, I have used 3 of Biota Bot’s devices. The filters work their best and I need to clean and vacuum it regularly. My cat hair is stuffed in the pre-filter of these Biota Bot air purifiers. At Breathe Quality, we tested these air purifiers at intensive level, but they never show any signs of defect. Related posts: Biota Bot Reviews. If you are looking for a good and small air purifier at low-range budget, I guess you are suggested with Pure Enrichment products. Despite average performance, this air purifier brand is still good to go for with a leading warranty policy – 5 years at most and a reasonable low cost. Since 2010, this California-based team has building a great company targeting only at home air quality control. They state clearly that they will focus around the user and everything else follows. The industry-leading 5-Year Warranty is a good first step, but what Pure Enrichment is doing better than other brands is their Pure Power User. This program allows their loyal customers and other product enthusiasts to act as testers and also receive free samples of pre-released products. Through this commitment, Pure Enrichment is developing their products day-by-day. For the technology, their air purifiers use both True HEPA filter and UV-Light. Therefore, they are tested fully to have best performance. A slight minus is the power of Pure Enrichment air purifier can not compare with other high-end machine, but it is still a good one. Related posts: Pure Enrichment Reviews. In a very competitive market like air purifier, AeraMax approaches with slow but smart moves. This brand is very well-known in public locations like schools, hospital, healthcare services, clinics or cinemas. However AeraMax is not just only good at large room coverage, they also are prominent with a wide range of air purifier selection, from low-range to high-range. Fellowes is a manufacturer of office and technology accessories like paper shredders, work space accessories and so on. Since 1917, this US brand is always advance with new technologies. And their air purifier field, in name of AeraMax, proves that their inventions are still very important. There must be a reason for their air purifiers to gain the Asthma and Allergy Friendly certification. Indeed, I enjoy both their design styles and their True HEPA filtration. They are modern, and powerful. One minus is that many people reviewed AeraMax air purifiers creating a lot of ions which irritate asthma. Through testing, we believe the on/off button is the best way to prevent ions from AeraMax air purifiers. 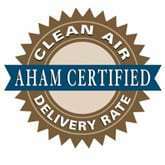 Moreover, the ozone emission from AeraMax meets the strict standard set by California Air Resource Board. Welcome to Breathe Quality’s last candidate – Airpura. If you are looking for a solution to serve the large rooms, like meeting hall, co-working space or hospital, you definitely need to check this brand. Like other best large room air purifiers in 2019, Airpura targets at mid-range to high-range segment. Airpura is a Canadian brand working at a solution to a plethora of issues that are responsible for indoor air pollution. They established in 2004 and is a leading company in this air purifier industry. Their products have same design concept with Austin Air’s air purifiers, and are solid-built, too. Both their fan power and filter performance are at the peek of air purification technology at the moment. The cons are Airpura’s machines are noisy, and therefore should be set up for a large room. 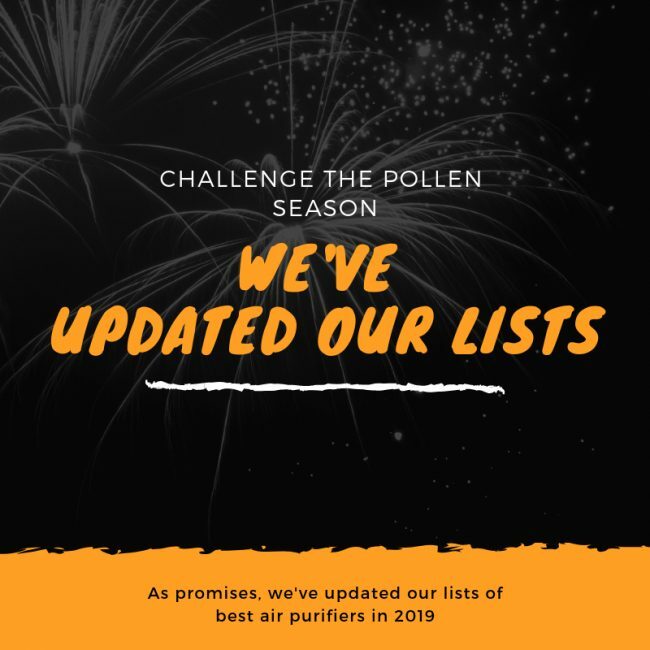 We are done with the Top 18 Recommended Air Purifier Brands list in 2019. Thank you for reading in Breathe Quality!! !